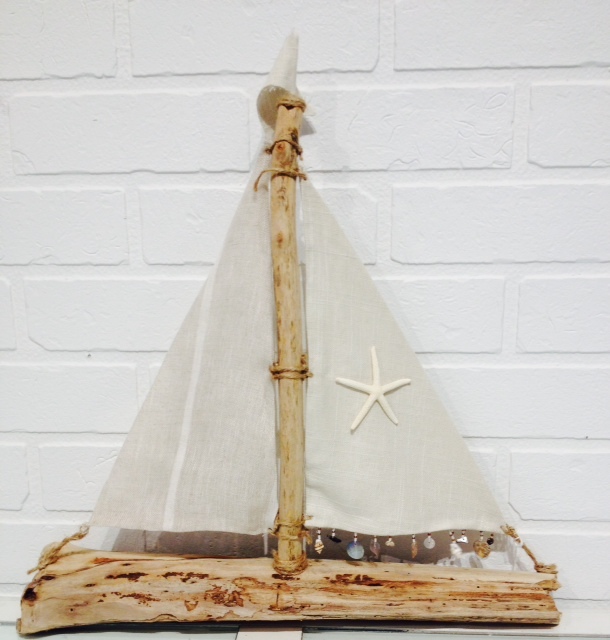 We use Designer quality Fabric on our Natural Driftwood Sailboats. 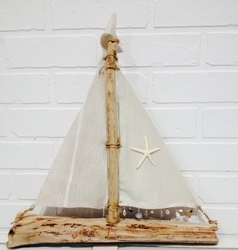 You will get one similar to this one with the same Fabric Sails, but a slightly different Driftwood Base as we use Natural Real Driftwood and each one is made differently. This sailboat has a real Starfish and Seashell Trim. Each Sailboat measures approximately 14-16 inches in width and height.